Oh Bow. Ya boy is having horrible luck in the girlfriend department. He's on the new season of "Growing Up Hip Hop: Atlanta" pining away for his chick, whom he broke up with for whatever reason. And now, he's going THROUGH it. So much so that he had to go to 20-year-old Shaniah, Jermaine Dupri's daughter, to help him get his ish together. On tonight's episode, he dishes to her on what really went down before the break up. And it involves Kiyomi wilin' out on him (see what we did there?) when he came to visit her in the studio one day. Yeah, she's really trying to rap. 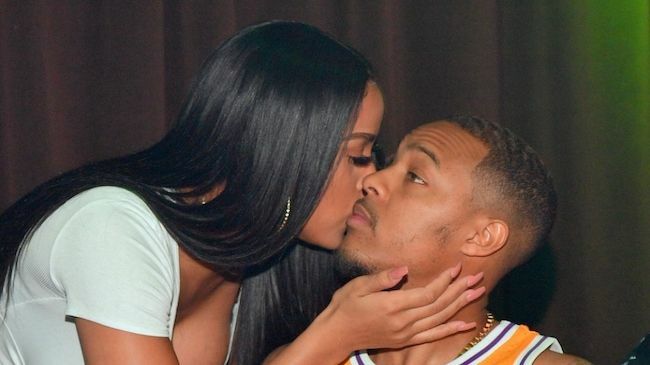 If Bow Wow's trying to convince folks this break up isn't conveniently staged for the show, he's failing miserably. “Growing Up Hip Hop: Atlanta” airs tonight on WETV.